The Gator GC-335 is a deluxe moulded case designed to fit semi-hollow guitars. 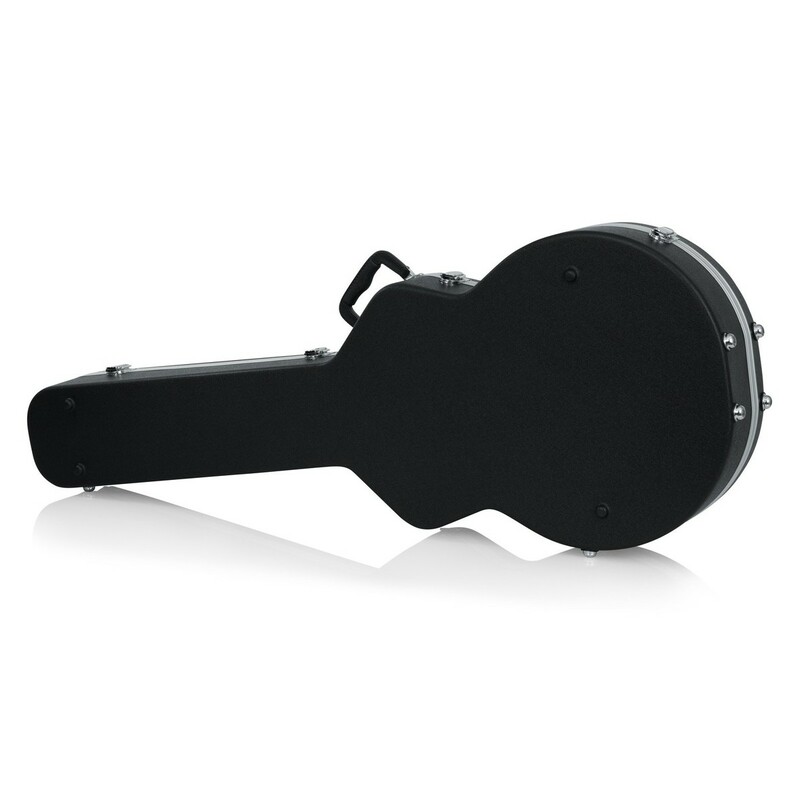 The case offers safe and secure placement with chrome plated lockable latches keeping the guitar in place at all times. 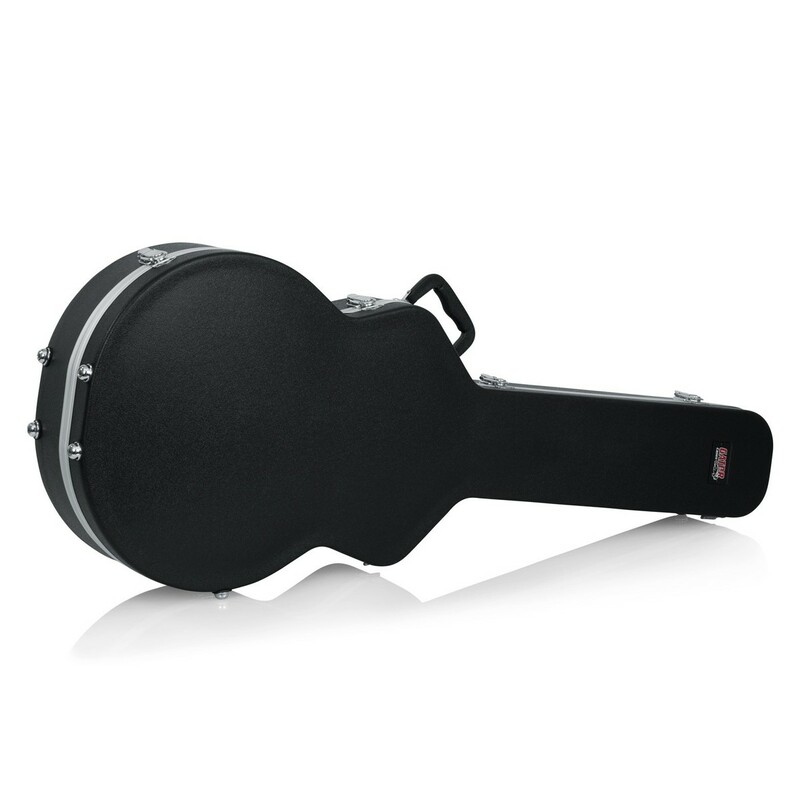 The interior consists of EPS foam and plush lining to ensure that your instrument remains free from scratches and nicks, whilst the outer shell's impact-resistance ABS plastic adds to the durable exterior. Aluminium valances keep the GC-335 aligned and the reinforced handles provide users with a firm grip. Finishing off the features is the spacious interior storage compartment, suitable for storing capos, strings, plectrums, straps, and other accessories. 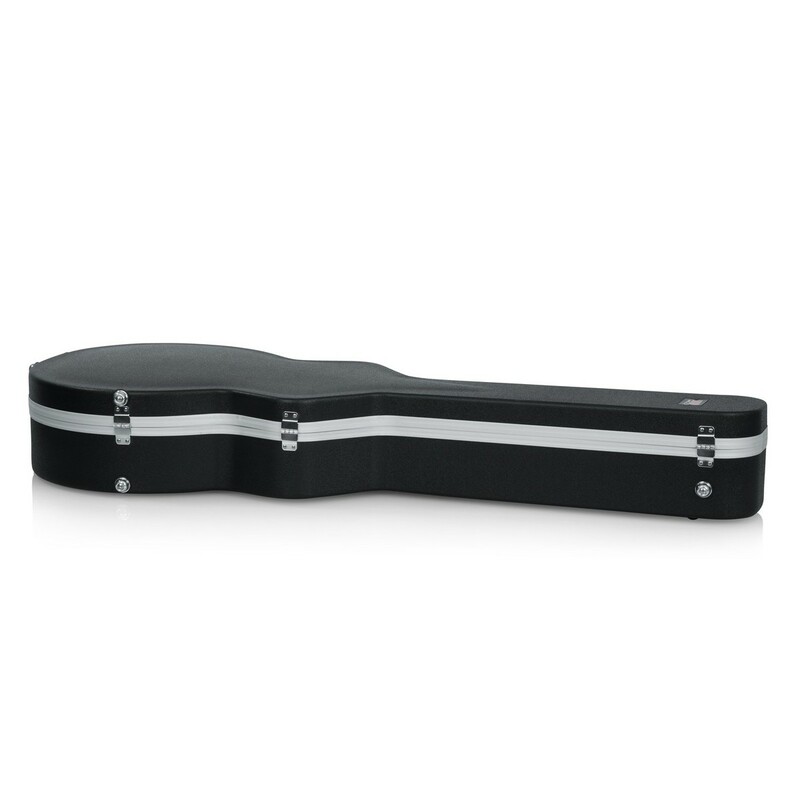 Designed to protect semi-hollow guitars, the deluxe case by Gator provides secure placement with chrome plated lockable latches. 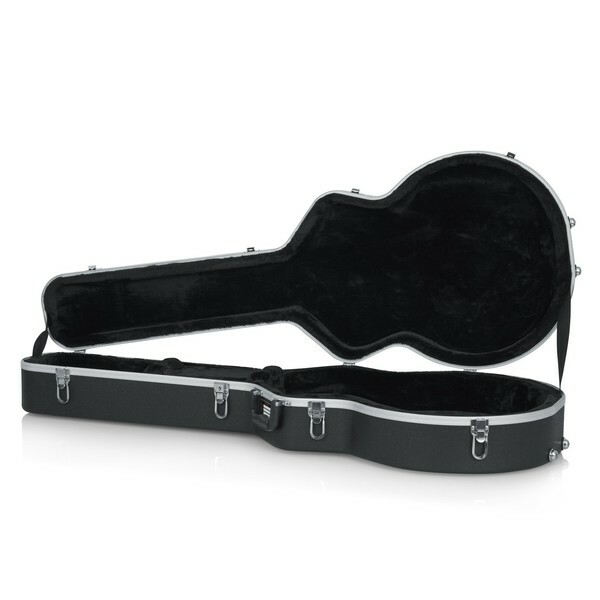 With your guitar secured in place, the interior protects the instrument from scratches with EPS foam and plush lining. The hard outer shell is constructed with impact-resistant ABS plastic, which adds durability to the case. The closure remains aligned with heavy-duty aluminium valances and the reinforced handles offer users a firm grip when carrying. Finally, the interior is home to a spacious storage compartment ideal for fitting capos, strings, picks, straps, and other accessories.